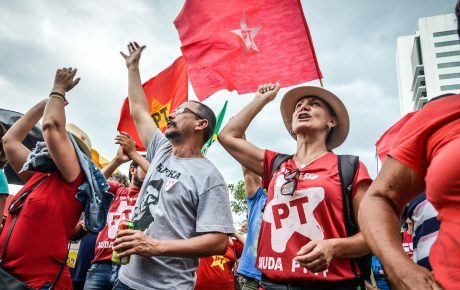 “We will beat the Workers’ Party, no matter who their candidate is,” declared São Paulo’s Governor Geraldo Alckmin this Tuesday at a political event. Alckmin’s words attest to a sentiment shared by other politicians in the Brazilian right: everybody, apparently, wants to face off with Lula in the election. 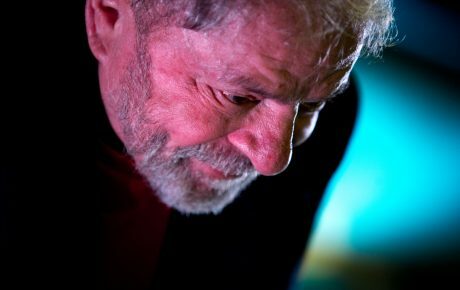 Like him or hate him, Lula remains an electoral juggernaut. Even after being charged in seven different criminal cases. Or being convicted of corruption and money laundering. Or having that conviction confirmed by a court of appeals. Today, a panel of three judges believed that the justice system was right to convict Lula for allegedly accepting a kickback from OAS, a construction company. Still, if the election were today, he would win – and it wouldn’t be that close of a contest. Today’s decision could lead to Lula’s exclusion from the October race. That uncertainty leading up to a presidential election is certainly a hard blow to Brazil’s democratic system. Voters could be headed into the polls without knowing if the leading candidate will be able to take office if he is elected. And the fact that many experts don’t agree on whether or not the prosecution managed to prove that Lula indeed committed the crimes he has been accused of only fuels the controversy. FGV law professor Ivar Hartmann, LL.M. from Harvard Law School, believes that justice has been done. “Interpreting the evidence is highly subjective – and it is possible to have disagreements about a verdict. In my opinion, the prosecutors were able to present enough evidence to corroborate the accusation,” he says. But that’s hardly the consensus. “Between the seven cases against Lula that are under way, this is arguably the weakest one. 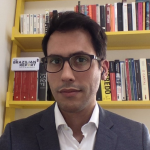 And the timing, right before the presidential election, fuels Lula’s victimization discourse,” says José Álvaro Moisés, a political scientist at the University of São Paulo. Plus, it gives the impression that the wheels of justice turn quicker against one side: the left. In 2016, then-President Dilma Rousseff was impeached for doctoring the federal budget. Was she guilty of that crime? Yes. The problem, however, is that less than a year later, her successor, the incumbent Michel Temer, was caught on tape discussing the payment of hush money to former House Speaker Eduardo Cunha. Congress has had two opportunities to indict him, and yet rejected both requests. Eduardo Cunha’s case, too, is emblematic of that apparent double standard. Until he had fulfilled his role as the conductor of the impeachment process against Rousseff, he was kept in place – despite the abundant evidence of his corruption schemes. Once he was no longer necessary, Cunha was impeached and later arrested. Meanwhile, corruption cases in the state of São Paulo are simply ignored by state prosecutors. In the late 1990s, French company Alstom was accused of paying 63 million BRL in bribes to senior officials in São Paulo’s state government. Some of those defendants were convicted by Swiss authorities, and we all know that the Swiss are not that hard on money launderers. In Brazil, however, nobody was punished. 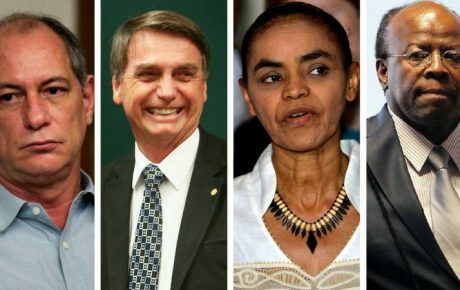 2018 election: who wins if Lula is out? Right now, Lula is the preferred candidate for 36 percent of voters. 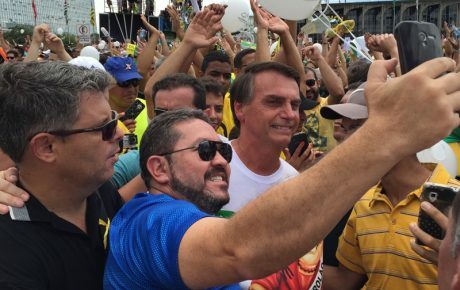 Behind him comes Jair Bolsonaro, an extreme right-winger currently polling at 18 percent. If Lula is out, Bolsonaro would jump to a comfortable lead. However, he would not benefit the most from Lula’s possible exclusion. That title goes to Geraldo Alckmin. An uncharismatic, fervent Catholic, Alckmin has been struggling to convince voters that he is their best option. 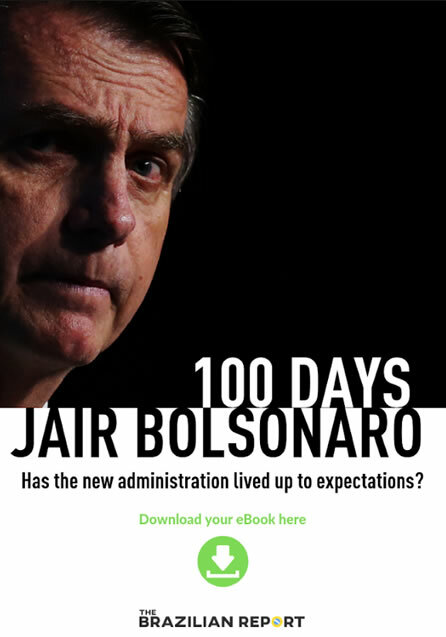 Just seven percent of voters are on board with him – it’s an especially mediocre performance upon considering that Alckmin controls the country’s wealthiest state and ran for president 12 years ago. If Lula is in the race, the former president would make it into the runoff stage – leaving only one other spot open for competition. And, at least for now, two names could trump Alckmin: Bolsonaro, who has amassed a cult-like following, and Luciano Huck, a well-liked TV presenter who has flirted with the idea of running for the presidency. Both are more appealing to voters, and would be fighting with Alckmin for the right-wing vote. But if Lula were out, the election would be up for grabs. Two spots would be on the line. If Alckmin goes to the runoff stage against Bolsonaro, he could win based on the rejection rate to the extremist contender. The 2018 election still remains uncertain, as Lula will now appeal to higher courts and use whatever means possible to stall a definitive sentence. For now, Brazil’s most popular politician must prepare himself for two possible futures: the presidency, or prison.